The American Academy of Pediatric Dentistry define Early childhood caries (ECC) as the presence of one or more decayed (cavitated or non-cavitated lesions), missing (due to caries), or filled tooth surfaces in any primary tooth in a child younger than 71 months of age. This aim of this review was twofold to assess the relationship between acquisition and colonization of oral bacteria and ECC, and to identify caries risk and protective factors in infants younger than 12 months of age. The authors searched the Medline and Embase databases for randomised control, longitudinal, cross-sectional and qualitative studies. Study selection and quality assessment was undertaken independently. Only papers published after 1996 were considered. Four papers (3 longitudinal, 1 cross-sectional) were included for the relationship between aacquisition and colonization of oral bacteria and ECC. While 13 papers (6 RCT, 4 longitudinal, 3 cross-sectional) were included that addressed risk and protective factors in this age group. Bacterial acquisition/colonization and modifying factor interrelationships were identified, but their role in the caries process was not clarified. Key risk indicators were infant feeding practices (nine papers), maternal circumstances and oral health (6) and infant- related oral health behaviours (4). This review confirmed that factors occurring during the first year of life affect ECC experience. Despite heterogeneity, findings indicated maternal factors influence bacterial acquisition, whereas colonization was mediated by oral health behaviours and practices and feeding habits. Harris et al conducted a systematic review of risk factors for dental caries in children under six years of age in 2004. At that time they identified 106 risk factors related to the prevalence or incidence of caries. The Harris paper as with this current review was restricted to electronic databases , this may have lead to some relevant papers not being identified. The current review also has a restricted time frame, while justified by the authors some may disagree with this limitation particularly in relation to the second question addressed. Leong PM, Gussy MG, Barrow SY, de Silva-Sanigorski A, Waters E. A systematic review of risk factors during first year of life for early childhood caries. Int J Paediatr Dent. 2012 Aug 28. doi: 10.1111/j.1365-263X.2012.01260.x. [Epub ahead of print] PubMed PMID: 22925469. Harris R, Nicoll AD, Adair PM, Pine CM. 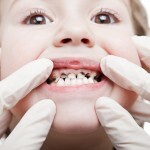 Risk factors for dental caries in young children: a systematic review of the literature. Community Dent Health. 2004 Mar;21(1 Suppl):71-85. Review. PubMed PMID: 15072476.